We experienced our first major stock market correction in several years earlier this week. As I write this the market is recovering but who knows where things will go. Just like clockwork if we see a prolonged period of volatility you can count on a new wave of ads touting various types of annuity products as the answer for investors worried about the stock market. Annuity sellers love stock market turmoil. Those of you who follow my blog know that I have a special level of contempt for those who sell financial products by invoking fear. Stan Haithcock wrote Annuity sharks smell blood with market volatility recently at Market Watch. This was one of those articles that after reading it led me to wish I’d written it. Stan’s opening paragraph provides a great overview. My dislike of fear-mongering annuity ads started a few years ago when the local news radio station was full of ads touting indexed annuities as the cure for the risky stock market. The group enlisted former Bears coach Mike Ditka as their pitchman. Ditka can probably sell anything to the win-starved fans of the Chicago Bears. I personally think using any celebrity spokesperson to sell financial products is reprehensible and takes something as serious as someone’s financial well-being and equates it to the decision of which snack food to buy. Though I’ve tried to keep an open mind about these products, I’ve reviewed many contracts over the years and have never found one that seemed to have much redeeming value for the contract holder. By this I mean I’m not sure what the product does for them that a properly diversified investment strategy with a well-conceived retirement income plan couldn’t do just as well or better for a whole lot less money. Indexed annuities, sometimes called equity-indexed annuities, offer limited upside participation in a stock market index such as the S&P 500. The reason they are sold as an alternative to the risky stock market is they offer either a guaranteed minimum return each year or a limit on how much of a loss the contract holder can incur each year. The sales pitches will vary and they are often also touted as an alternative to CDs. Long surrender periods. I’ve seen policies where the surrender charges last for 10 years or more. High fees and commissions. The fees internal to the contract serve to provide nice compensation to those selling them. Why do you think agents and registered reps are so eager to sell you an indexed annuity? Hard to understand formulas to determine your return. The premise is typically that you will participate in a portion of any gains on an underlying market benchmark such as the S&P 500 and that there is some minimum amount of return that you will make no matter how the index performs. Make sure you understand the underlying formulas that determine your return and any factors that might cause a change in the formula. Check out FINRA’s Investor Alert on Indexed Annuities as well. Limited upside participation in the underlying index. Additionally the sales pitches can be confusing. Make sure you understand what you would be buying, all of the underlying expenses and most important why this is the BEST solution for you. Variable annuities generally have underlying investment choices called sub-accounts that function like mutual funds. They also have internal fees called mortality and expense charges that cover the insurance aspect of the contract. These fees can vary all over the board. Many contracts also carry surrender charges for a number of years from the issue date as well. While the value of the VA will vary based upon the investment results, several riders or add-ons can create certain product guarantees. These riders come at a cost and that cost will impact how long it takes for the contract holder to come out ahead. Two popular living benefit riders are guaranteed minimum withdrawal benefits (GMWB) and guaranteed minimum income benefits (GMIB). A GMWB rider guarantees the return of the premium paid into the contract, regardless of the performance of the underlying investments via a series of periodic withdrawals. A GMIB rider guarantees the right to annuitize the contract with a specified minimum level of income regardless of the underlying investment performance. Both types of riders entail added costs and require varying time frames to be eligible for exercise and/or to recover the cost of the rider. A variable annuity with or without one of these riders may be the right choice for you. You are far better off shopping around for the best product versus allowing yourself to be sold via a slick sales pitch. Renewed market turmoil means a new wave of annuity sales pitches reminding prospects how risky stocks can be. Financial planning should always trump the sale of any financial product so investors who are worried about the volatility in the stock market will generally be better served by having an overall financial plan in place from which the appropriate products for implementation will flow. Should You Buy Financial Services From Tommy Lee Jones? I recently noticed the return of Tommy Lee Jones as the TV pitchman for Ameriprise Financial. 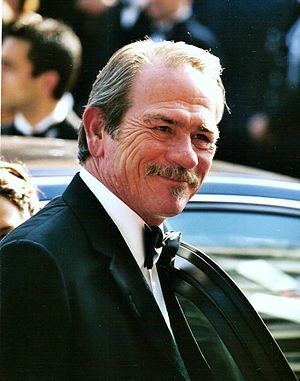 Tommy Lee Jones is one of my favorite actors, loved him in the Men in Black movies as well as other such as the Fugitive and No Country for Old Men. Jones comes across as credible and trustworthy. His closing line “Together for your future” is masterful and powerful. As I’ve written here and elsewhere in the past, I’m not a fan of celebrity pitchmen for financial services and financial products. Case in point was a post about Mike Ditka hawking equity index annuity products. What issues are really bothering me? I want help managing my investments. I need answers to a specific financial question(s). I need a comprehensive review of my financial situation including a financial plan with actionable suggestions. 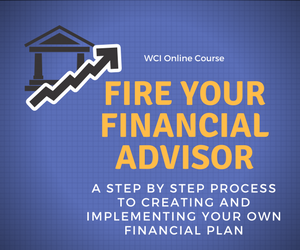 Having an understanding of the areas in which you are seeking help is a key first step in selecting the right financial advisor. What makes you qualified to provide me with advice? Do you normally work with clients whose situation is similar to mine? How will you determine the right course of action for me? What areas of financial planning/financial advice are your specialties? Will I be dealing with you or some lower level employee? How will you be compensated if we work together? Are you willing to disclose all forms of compensation that you will receive? Are there any conflicts of interest such as restrictions from your firm or the manner in which you are compensated that would impact the financial products that you might recommend to me? Are you compensated via commissions; fees (Fee-Only); or a combination of the two (Fee-Based)? Choosing the right financial advisor for you and your family is critical. You want to do your best to find someone who is competent, whose compensation method is made clear and is transparent, and who you feel that you can trust. Don’t be afraid to ask direct pointed questions and don’t settle for half-answers.